Happy New Year, dear reader! 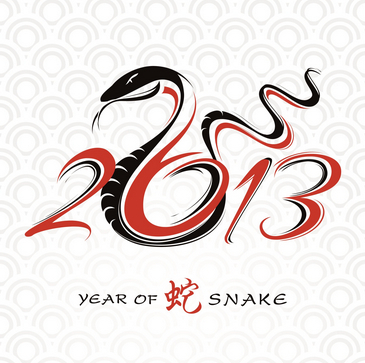 May the Year of the Snake bring you much prosperity and happiness. Theaters went dark for much of the day on Saturday as China’s population turned its attention to New Year’s fireworks and lion dances. The multiplexes reopened on Sunday with high expectations—and a massive screen count—for the release of Stephen Chow’s new action comedy, Journey to the West: Conquering the Demons. Based on the Ming dynasty literary classic commonly known as “Monkey” in the west, the film is a silly, slapstick parody with director Chow’s usual collection of rapid-fire gags. Chow’s prior films Kung Fu Hustle and Shaolin Soccer were major hits both in Greater China and abroad, due largely to Chow’s zany energy as a leading man. This time, however, Chow will be absent from the on-screen action, leaving a hole that will be difficult to fill. Whether this picture works in pleasing audiences—reviews so far have been mixed—it is sure to open big, as it has reportedly racked up very strong presales. Early word is that it cracked the $10 million mark on its opening day. Don’t be surprised if it goes well over $100 million in the next few weeks. To accommodate the opening of Journey and four additional films on Sunday, Cloud Atlas and Skyfall will have to relinquish most of their screens, which will effectively slow the remainder of their China runs down to a trickle. Skyfall, as I previously noted, will wind up with $60 million or a bit more. Cloud Atlas, which crossed the $21 million mark on Saturday, could still possibly surpass its U.S. total of $27 million. While $27 million is only a middling tally for a foreign film in China these days, this would nevertheless represent some 25 percent of the movie’s worldwide gross, which would set a new record for a foreign film release in the PRC. The previous record-holder, The Mechanic, earned roughly 22 percent of its worldwide revenue in China in 2012. Expect these percentages to keep climbing as China accounts for an ever-increasing share of the global box office. Chinese moviegoers’ tastes, which are proving to be very different than those of American audiences, will exert a steadily increasing influence over what movies get made and whom they target. This entry was posted in Box Office Reports, General News and tagged China box office, Cloud Atlas, Journey to the West: Conquering the Demons, Rob Cain, Robert Cain, Skyfall, Stephen Chow, The Mechanic by chinafilmbiz. Bookmark the permalink.